TELPRO RIBBON MESH ANODES are manufactured from ASTM B265, Grade 1 Titanium and coated with Telpro Mixed Metal Oxide Coating. Typically these anodes are used in the protection of steel rebar embedded in concrete / mortar. The use of Impressed Current Cathodic Protection systems has been proved to be a very effective way of controlling corrosion of rebar, particularly in hot and saline conditions. 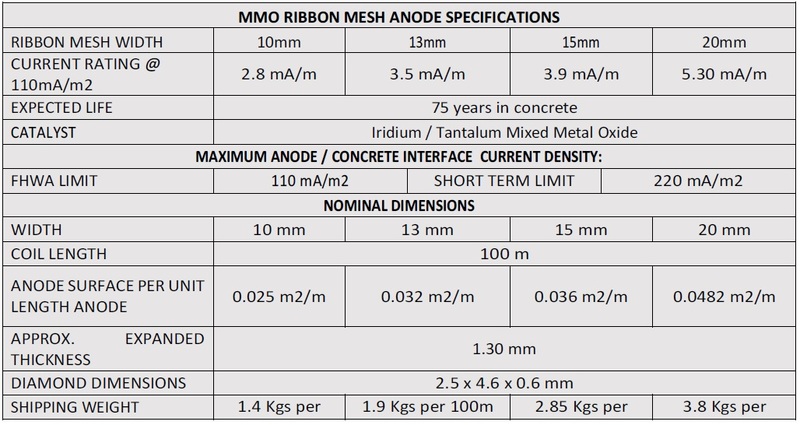 There are four standard sizes of Ribbon Mesh available with a variance in current output between them. 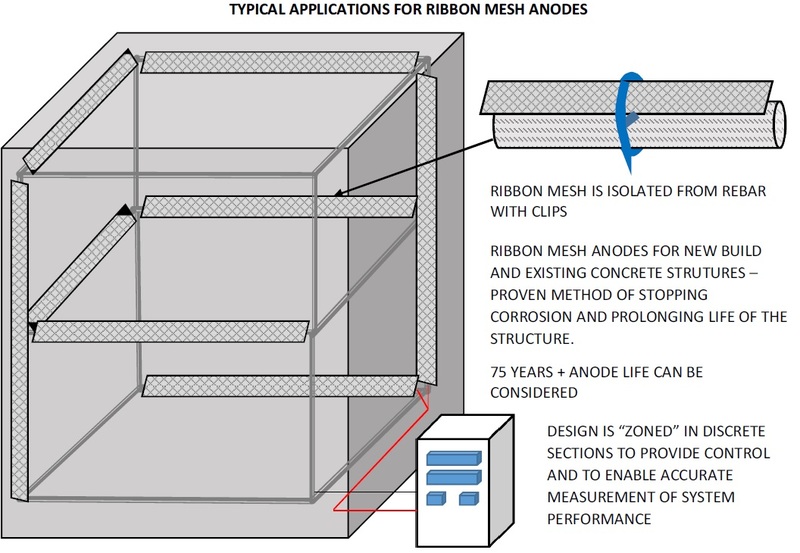 Anode life is typically 75 years although greater lifetimes can be accommodated.